Here you see a Dacia Dokker, having an interesting price. There is definitly a gap to for example the Caddy. Everybody has to decide if the qualitiy difference justifies the difference in price. 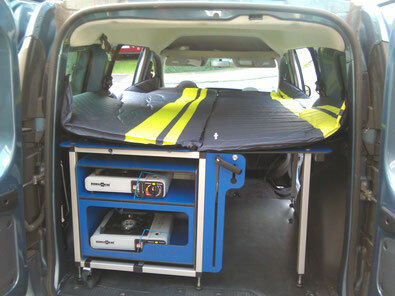 - Rear passenger back seats have to be disassembled with tools. Two hexagon screws have to be removed. The back seat must be removed completely. - there is no 12V-plug in the rear of this model. You have to use the additional battery box. 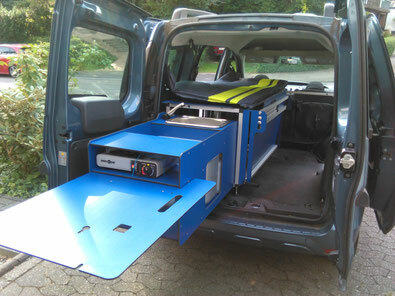 The unit is preferably mounted with the adjustable feet, if the back seat stay in the car. 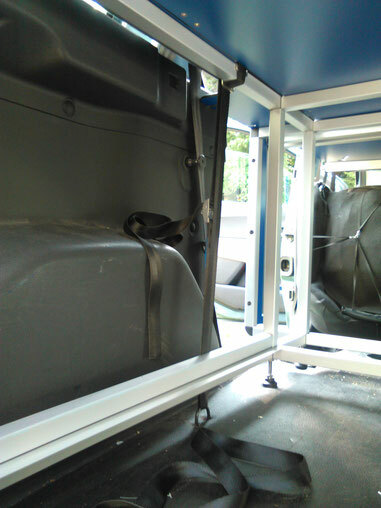 Then the lying surface can be positioned above the folded back seat and the covers of the rear wheel boxes. The ground is quite uneven but insensitive and it is easy to adapt with the adjustable feet. Additionaly the unit is secured against slipping. There is easy accsess to the fixing points on the left. 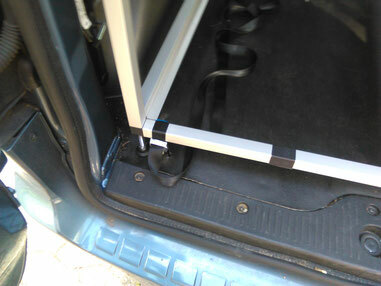 Third fixing possibilities are the locking bolts of the left and middle rear seats. 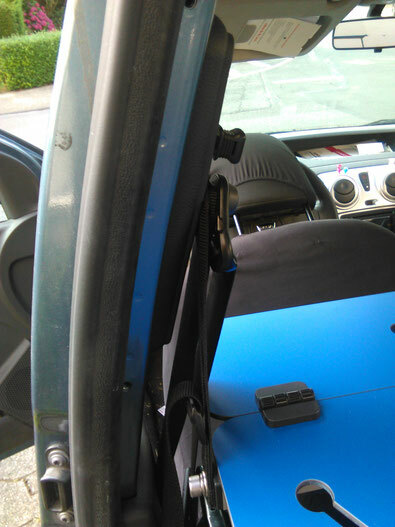 The front passenger seats can be easily folded. 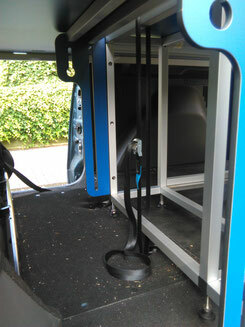 The securing belts for supporting the unfolded lying surfaces can be guided around the upper safety belt fixing points. Just hang the belt around the safety belt fixing point. Covers of the rear wheel boxes are on a high level. Flaps of the unit are adapting to this. You need two poles on the right. And with additional working space fixed to the kitchen box. Behind the folded back seat you still have around 1,3m space on the right. 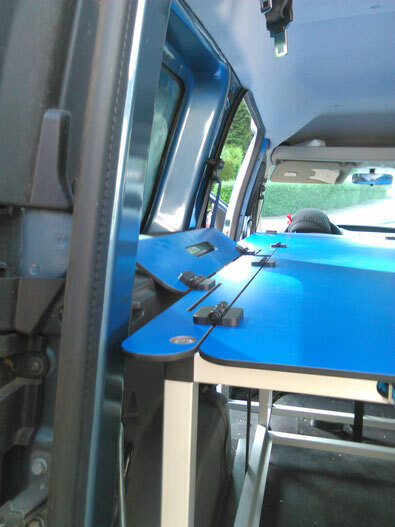 If the back seat is disassembled, you will get a storage room comparable to the Berlingo.